Commercial eggs are cleaned in the processing plants. However, if you buy farm fresh eggs you may be wondering how best to clean them. This is a guide about cleaning farm fresh eggs. Most of the forums online say to clean your freshly laid eggs by just rubbing them clean with your fingers under hot, running water. This can take quite awhile, especially in the winter when the chickens get everything muddy with their feet. It's also kind of gross. I have found the perfect tool for cleaning my eggs. 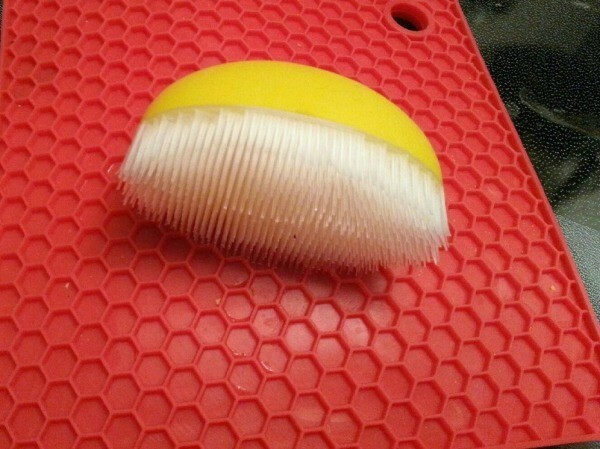 I use a corn brush, made for de-silking corn cobs. It is a gentle, yet really effective scrub brush. How do you clean farm fresh eggs? Wipe the eggs with a damp and wrung out cloth if there is obvious something on them, otherwise leave them alone. 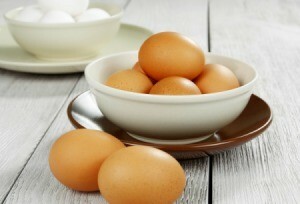 There is a coating on them naturally that keeps bacteria out of the shell/and therefore the egg. The shell is porous to some extent. I have a very good book that is a guide in egg safety. What it states and I use myself, is that because the protective bloom gets washed off, once you wash the egg you need to replace the coating. Discard any eggs that are truly spoiled or truly dirty, dip the egg for 30 seconds in a solution of 1 teaspoon bleach to 1 quart water heated to 101 degrees F, wipe the egg dry with a paper towel or clean rag, then rub the egg with vegetable oil before refrigerating to prolong shelf life. What's a good way to clean eggs that are farm fresh from the chicken coop? I have heard that unless the eggs are dirty (ie., chicken manure) the eggs will keep longer and be less prone to get things like salmonella if you do not remove the coating the chicken leaves on the egg. So it depends on their condition and how you are going to use them, if you even need to clean them at all. Water. That is all you should put on farm fresh eggs. If ours are especially "caked up", I put them in a dish of water and let them soak an hour or so. Then, I just rinse them off or scrub them more thoroughly with a wash cloth.